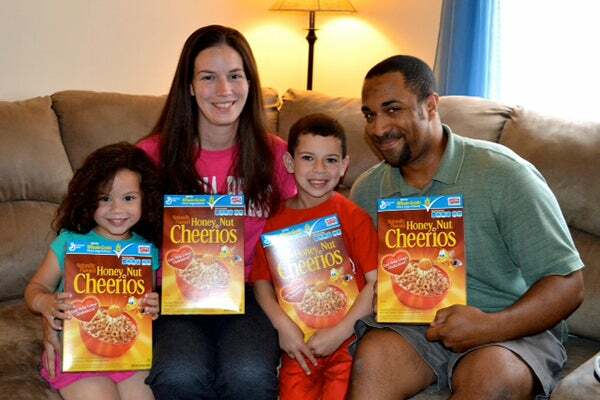 After watching Cheerios' uplifting ad, Michael David Murphy and Alyson West, an interracial family from Atlanta, decided to start a blog dedicated to, well, interracial families. "We Are The 15 Percent" is a crowd-sourced Tumblr which features adorable family photos sent in from around America. In their first post, Murphy and West write, "We created this site to publicly reflect the changing face of the American family. According to the 2008 census, 15% of new marriages are interracial. And yet, it still feels rare to see something like the Cheerios ad represented in mainstream culture." Photo: Via We Are The 15 Percent.